Are you a fan of romance novels? If you answered yes, we're betting you never weary of reading about luxurious picnics by a secluded lake that start out with wine, cheese and fruit and end with kiss-lavished desserts. 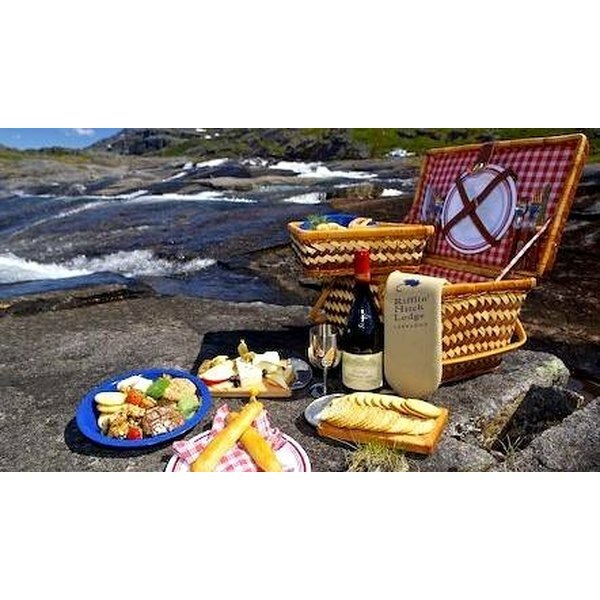 Picnics are idyllic experiences and a fully-outfitted and coordinated picnic basket can make your outing the stuff of which delicious relationships begin or continue. You'll have to choose foods and beverages based on the preferences of your object of love, but when it comes to designing the carrier, that's all on you. Make it the kind of picnic basket design that shows off both your gourmet and design skills and you can leave the rest of the story up to Mother Nature. Use your tape measure to determine the height and width of the side panels and bottom of the wicker basket. Add two inches to each of the measurements, then create a paper pattern from those dimensions for the interior lining of the picnic basket. Pin pattern pieces to the fabric, then cut out sections of the basket liner using pinking shears to prevent the material from fraying. If you've chosen a check fabric--a popular pick for picnic baskets--and you're a whiz at matching checks at seams, go for it. Pin together all of the sections of the lining, then turn the material so the selvages are inside. Lower the liner into the basket so you can judge the fit of the fabric shell. Don't worry if it's not perfect; you'll make adjustments as the liner construction progresses. Finish stitching all of the seams together and then invert the liner one more time by sliding it into the basket. If everything looks good, roll the raw edges and over stitch the seams to give the reverse side a finished look. Use an iron to press the liner. Pin the top hem in place and adjust any slack that may remain in the liner. Complete the final rolled hem, by sewing it into place. Iron the finished edge. Pull the backing off the female side of the Velcro strips you've chosen. Surround the edge of the interior top of the basket with the tape. Pull the backing off the male side of the Velcro and press it along the top hem of the fabric. Press tightly into place. If you are more comfortable using Velcro that requires stitching in place of the adhesive-backed type, staple or glue the strips to the top of the basket's interior. 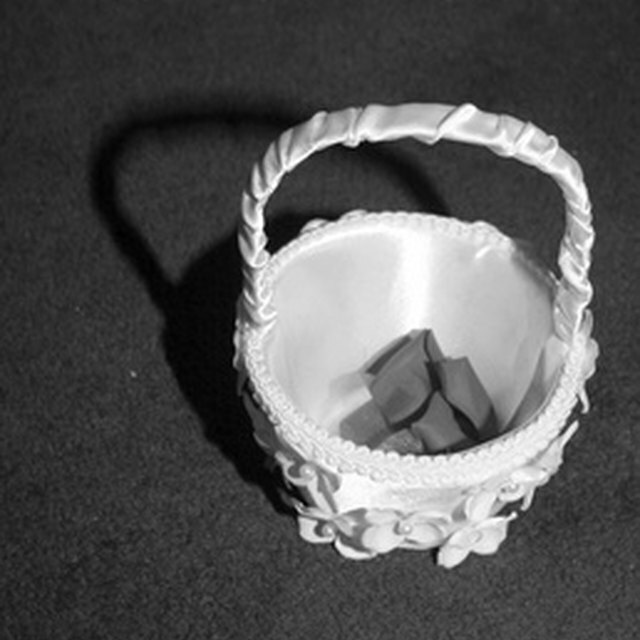 Place the liner into the picnic basket. Use the remaining fabric to construct a large tablecloth and/or matching napkins. Spray the inside of the basket liner with Scotchgard® or another stain repellent to help protect against the occasional spill. Pack the basket with a sumptuous feast and experience what all of those romance novelists have been writing about. If you choose cloth that has a high percentage of polyester in the weave, you won't have to worry about fabric shrinkage and wrinkles will be kept to a minimum when you wash your picnic linens.